﻿ Citizen are no strangers to the advancement of their sound, nor to the backlash that can ultimately result in. As much as their 2013 debut Youth embodied the sound of 2010s emo and was showered in praise for it, 2015’s Everybody Is Going To Heaven took a shift closer to ’90s-worshipping grunge tones that were subsequently met with a considerably more lukewarm response. Now compare that to As You Please, an album that places Citizen in a more centralised position of their alt-rock Venn diagram, and one delivered in a way that seems as though its creators have no idea how much is riding on it. While this is the moment that defines whether or not Citizen can pull themselves up again from the emo doldrums that their last album slotted them into for so many, on the surface, As You Please feels like a fairly unassuming album compared to Citizen’s previous output, doused in lighter alt-rock tones that mightn’t go so far as to cross into radio-friendly unit shifter territory, but avoids the full extent of viciousness they’ve previously showcased. Peel back the layers though, and As You Please reveals its bleak centre, with frontman Mat Kerekes exploring the discontent of his hometown of Toledo, Ohio, from the unpredictability of life for those ignored by a rapidly gentrifying society on Jet and In The Middle Of It All, to those who are slowly killing themselves on I Forgive No One in order to just feel something, and the expectations to make a change on Control as someone who actually managed to get out and make a life for themselves. It certainly fits how confrontationally looming this album is, with the despair in Kerekes’ vocals being palpable but also underscored with the frustration of not being able to help that gives the pleas of strength on You Are A Star a feeling of instability that piles on another layer of weight to an album that’s already creaking under itself. That does prove itself to be both a blessing and a curse too. 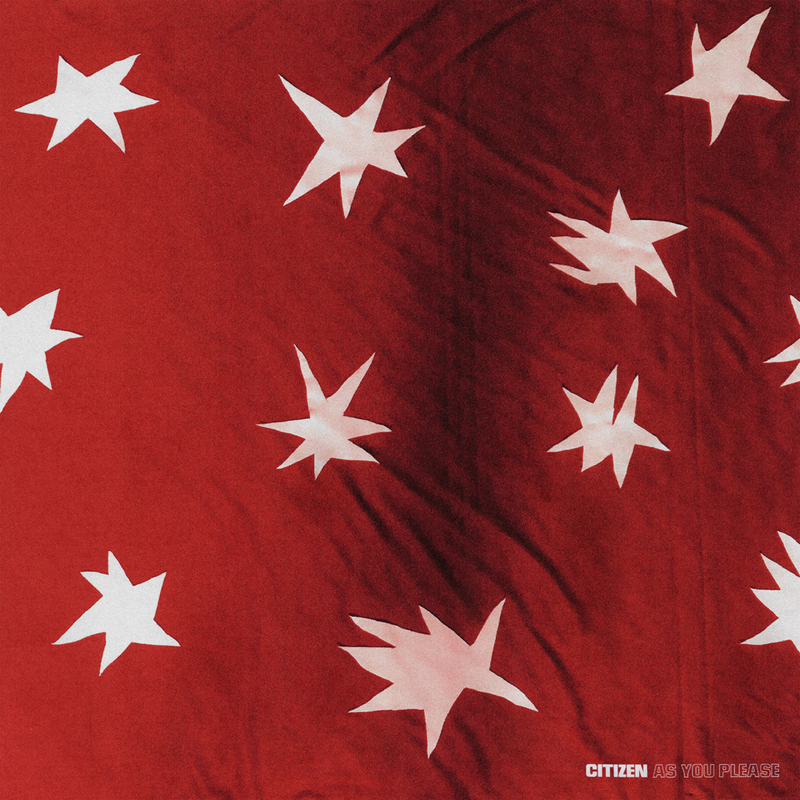 On the one hand, Citizen manage to launch such a forceful direct attack to the emotion centres that can be phenomenally potent, but as a whole package and with the primary focus on a less abrasive sound, that has the real potential to dissipate. It’s telling how Citizen feel their sturdiest when tapping back into a harder-edged sound like on the cataclysmic finale of Medicine or the buildup of closer Flowerchild, both of which see Kerekes resurfacing his harsh, raspy vocals that are just held back from being screams, but with the sleepy, monotone sway of the title track, or Discrete Routine with its pianos gentle guitars that teeter dangerously close to ill-advised shoegaze territory, As You Please comes dangerously close to falling apart. It’s an album whose consistency really could use some work, drifting into tones that don’t suit what Citizen are trying to convey, seemingly by accident with how hazy and hypnotic it comes across. That’s not to say that this can’t work though, as As You Please frequently blossoms with some gorgeous tones that definitely open it out to something far more expansive. The whirring guitars over the crescendo of World add some fantastic depth, as do the organs on You Are A Star, and for an album built on guitars that already shimmer with a bit more brightness, the atmosphere can often be a thing of beauty. Sure, sonic consistency might be an issue again – see the heavier, grunge-inspired build of Medicine, or the more potent, almost upbeat alt-rock of Jet – but these aren’t bad moments, and by virtue of how Citizen tackle them with the same detailed craftsmanship, that’s easy to let slide here. And even if As You Please can drift into slightly forgettable territory at times, or feel a bit lopsided in terms of its intent and how it portrays that, this is still a good album, one that should undoubtedly please Citizen fans who were left cold by their left effort and see the band firmly back on track once again. What’s perhaps even more impressive is how accessible as an entry point this album is, heavy themes and lighter tones that collide for an overall fulfilling listen. It mightn’t achieve that in its individual pieces, but as a body of work that’s meant to be experienced as such, As You Please is a worthy way to spend time. ‘As You Please’ by Citizen is released on 6th October on Run For Cover Records.